Found as a stray near a dangerously congested area, Ella entered the GRRA program. She was getting prepped for spaying when the vet felt seven little spines in her tummy! Ella was going to be a mom and soon! She was placed with a loving and experienced foster who assisted Ella in the beginning of labor. But Ella's labor wasn't progressing well so she was rushed to the hospital and delivered 5 babies. 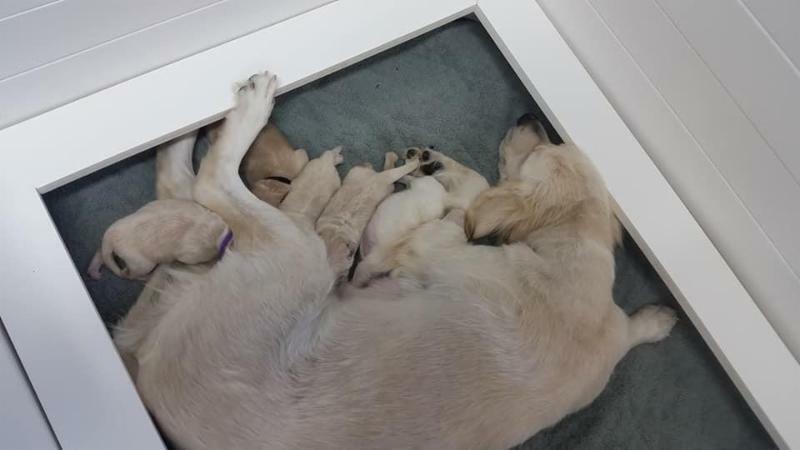 Sadly, two of the babies didn't make it but Ella and her puppies are progressing nicely. We hope you may be able to help us by providing a donation for Ella and the puppies. Please select what you would like to give. Check back with us to see their progress!